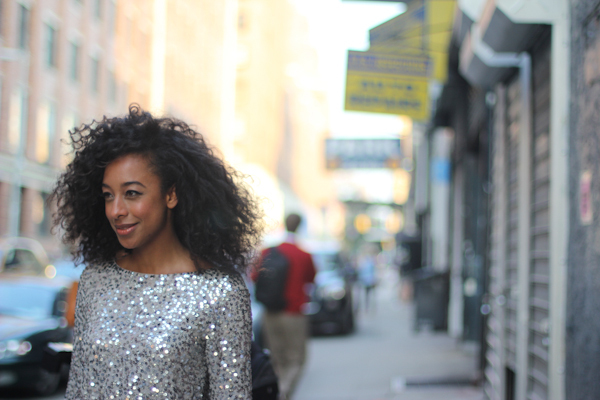 British singer-songwriter Corinne Bailey Rae at New York fashion week, September 2011. 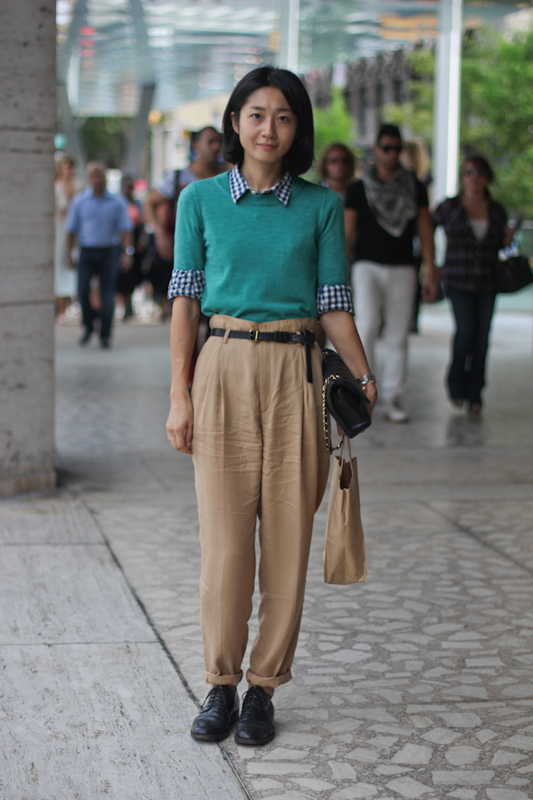 I’m still not sure where I stand on the paper bag pant, although this woman’s quirky take on the classic preppy aesthetic is a persuasive argument in favor of the garment. She feels so down to earth carrying a paper bag alongside her Chanel classic flap purse. Or maybe it’s the way she paired cuffed trousers with black oxfords for a chic riff on Oliver Twist. Either way, you can’t deny this woman has style. This is another one of those great unpublished photos from New York that I’ve been hanging onto for the right moment. 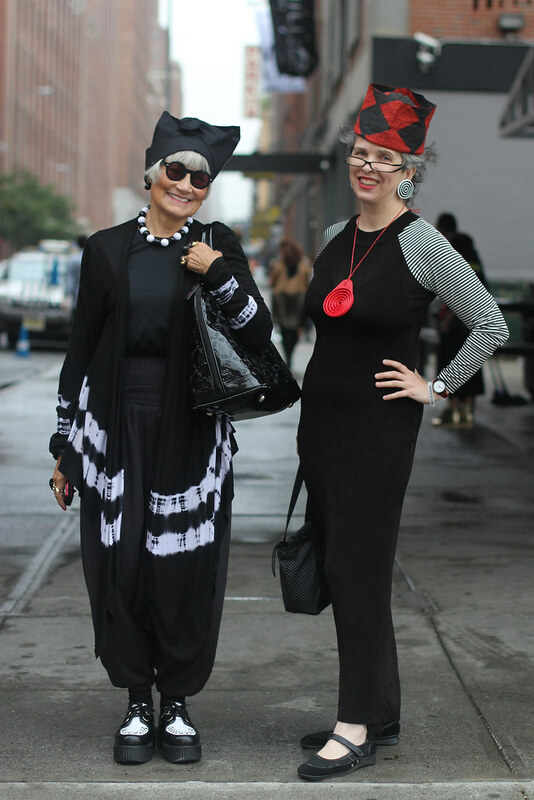 After reading Ari Cohen’s street-style blog Advanced Style for so long, it was a pleasure to finally meet the two Idiosyncratic Fashionistas in person at the IFB blogging conference in September. The circles in Valerie’s earrings and necklace reminded me of the giant swirls used for time machines in movies like Austin Powers. How perfect for the first day of 2012. Happy New Year’s everyone!